i Click 'view all' to instantly compare this good deal with offers on other top mens toiletry bags. 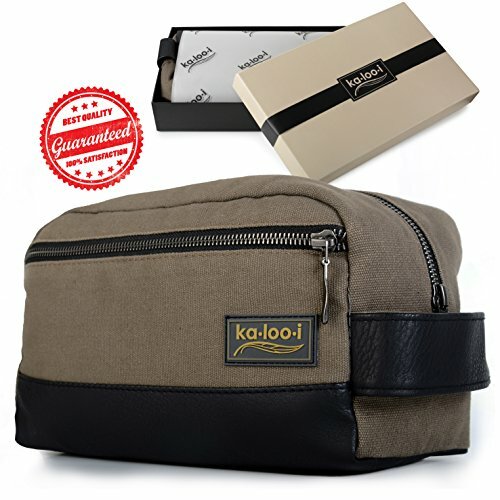 Dopp Kit Mens Toiletry Bag Travel Toiletry Bag Waterproof Canvas is currently selling at $24.95, approximately $0.27 lower than average, giving a potential saving of $1.00 right now. With a lowest price of $24.95 and an average of $25.22 it is selling on the low end of its usual range. Price volatility is 0.3% (meaning it does not change often), so the price should stay low for a while. Right now this product is a recommended 'good deal'. There is a coupon available for an additional 10% off. The current deal is also the best price on this item over the last month. 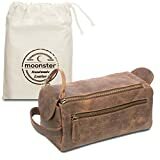 Compare the current price, savings (in dollars & percent) and Buy Ratings for the top Mens Toiletry Bags that are closely related to Dopp Kit Mens Toiletry Bag Travel Toiletry Bag Waterproof Canvas. 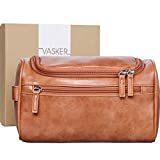 Here is how Dopp Kit Mens Toiletry Bag Travel Toiletry Bag Waterproof Canvas compares with other leading Mens Toiletry Bags. Thanks to its larger size & stronger construction, our men's toiletry bag holds more than most others & keeps its shape better, too. Features 12-oz. canvas, waterproof lining & Vegan leather trim. Your pouch comes an all-natural, earth-formed pumice stone, perfect for removing dead skin & calluses from feet & hands. A $10 value, yours totally free. ... classy, elegant & all ready for tasteful gift giving. Plus, there's a sturdy, separate box for storing your pumice stone. Plus, be sure to stock up for all the business travelers you know. FeaturesBuilt Better: Made of tough 12-oz. canvas, this toiletry bag keeps its sturdy shape for the long haul. Waterproof lining prevents leaky messes. Stronger YKK zippers stand up to tons of wear.More Space: Measuring 10" long, your extra-large kit holds all your grooming & shaving necessities. Zippered outer pocket + 2 interior pockets keep everything neatly organized.Superior Trim: Forget cheap, chintzy PU (polyurethane). This bag's bottom & carrying handle come in luxe Vegan leather: Looks & feels like the real thing, but it's totally cruelty-free.Attractively Boxed with Bonus: Your bag arrives in a premium gift box along with our special bonus: an all-natural exfoliating pumice stone. Perfect for dads, teacher appreciation, bosses, boyfriends & business travelers.